Android allows us to invoke default app activities from our application using intent. In this tutorial, you will learn to add calendar event in your android application by invoking the default android calendar application. Creating new events is done via Intents in android. 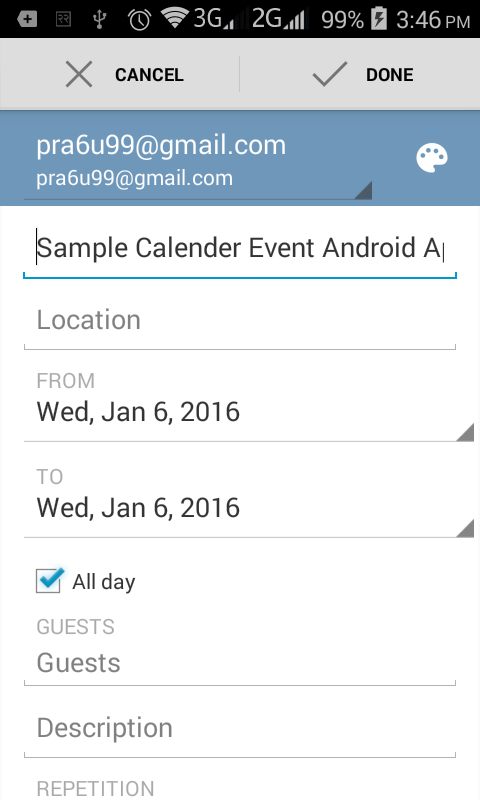 So here, I will show how to create a calendar event from your android application. Following example shows you to add calendar event in android application using intent. That’s all. Now run your Adding Calendar Event in Android application and click on the Click to Add Calendar Event button, you will see many options here.